Manufacturer of a wide range of products which include red tapis carpet, kerman carpet, designer tapis rugs and brown tapis carpet. We have gained a remarkable position in the concerned industry by offering a distinguished range of Red Tapis Carpet. Provided tapis carpets are designed keeping in mind the trends of market using quality-tested material modern techniques. Our quality controllers check these tapis carpets on various parameters so as to ensure its flawlessness. Also, we provide these tapis carpets to our customers in different customized options to choose from. We offer beautifully styled Kirman Carpets in the global market. 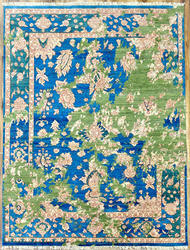 The Kerman Carpets or Kirman Carpets are based on the traditional Persian designs. Crafted using high-grade Carmania wool, the Kirman Carpets are known for their exquisite sheen and perfect finish. With the support of advanced industrial technology, we are involved in offering a premium quality Designer Tapis Rugs. Our offered tapis rugs are precisely designed using the finest quality material like threads & yarns keeping in mind the latest trends of the market. These tapis rugs are checked against well-established parameters of quality, in order to deliver a defect free range at the customer’s end. 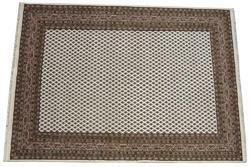 Also, clients can avail the tapis rugs from us in various sizes, patterns, and colors. Our in-depth knowledge and industrial expertise have enabled us to offer a comprehensive range of Brown Tapis Carpet. These tapis carpets are quality tested by our quality controllers in order to supply flawless range to customers. Offered tapis carpets are designed by our adroit professionals using best quality material and cutting edge techniques following the market trends. Our tapis carpets are appreciated in the market for its attractive finish.